Ahead of Japanese prime minister Shinzo Abe's visit to India, Prime Minister Narendra Modi welcomed him and highlighted the importance of New Delhi-Tokyo ties not just in English but also in Japanese. 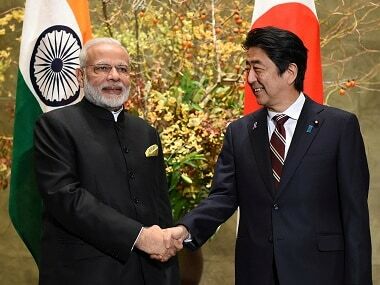 The enthusiasm and the preparations in Gujarat to welcome Abe is reflective of a deepening relationship between the two nations, who not only have shared strategic interests but also a desire to counter the growing presence of China to maintain a status quo. As the two leaders look forward to further advancing "the new era in Japan-India relations," it is pertinent to note that after the Doka La standoff, a number of countries are looking towards India for help. New Delhi's ties with Tokyo will come in handy when countering the expansionist desires of China. As Christophe Jaffrelot notes, "India-Japan partnership could be a cornerstone of a larger coalition of countries eager to resist China." Ahead of Abe's visit, Union minister Arun Jaitley visited Japan, in the capacity of the defence minister, in September this year and met his Japanese counterpart Itsunori Onodera in Tokyo. A range of bilateral and regional issues relating to security and defence were deliberated at length during talks. Since Modi’s visit to Tokyo in November last year, the defence and security cooperation between the two nations is on an upswing. As Abe notes, "Japan-India relationship is blessed with the largest potential in the world" and Jaitley's visit to Tokyo followed closely by Abe's own visit to India indicates that both the nations want to utilise the ties to their full potential. Before leaving office and handing over the reins of the defence ministry to Nirmala Sitharaman, Jaitley told the Japanese defence minister, who will visit India in 2018, that India hopes to pursue a strategic partnership with Japan for regional peace and stability. He discussed issues relating to the US-2 amphibious aircraft with his Japanese counterpart. India and Japan also agreed to collaborate closely in defence production, including on dual-use technologies, as the two countries resolved to ramp up overall military engagement under the bilateral special strategic framework. India also plans to buy the US-2 ShinMaywa aircraft from Japan for its navy. In a first, the Japanese chief of staff and Japan self defence forces will also visit India in the first half of 2018, according to Livemint. The two armies will also step up cooperation in Counter-Terrorism and Humanitarian Assistance and Disaster Relief (HADR) and conduct a counter-terrorism exercise next year. The ministers also agreed to pursue exchanges and training by Anti-Submarine Warfare aviation units and the Japanese side proposed to invite Indian Navy personnel to mine-countermeasures training. Both the nations also finalised their nuclear deal taking the ties between the two countries another leap together. The landmark civil nuclear cooperation deal between the two countries provides for collaboration between their industries came into force after six years of negotiations this year. The civil nuclear cooperation agreement was signed in November 2016, during Prime Minister Narendra Modi's visit to Tokyo. "No friend will matter more in realising India's economic dreams than Japan. 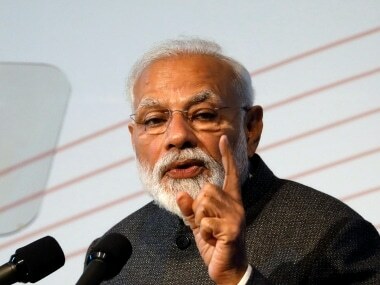 We have made enormous progress in economic cooperation as also in our regional partnership and security cooperation," said Modi after signing the deal. Japan has also been deeply involved in several infrastructure projects in India like the Delhi-Mumbai Freight Corridor, the Delhi-Mumbai Industrial Corridor, the Chennai-Bengaluru Industrial Corridor, metro projects in Chennai, Bengaluru, Delhi, Mumbai-Ahmedabad high-speed railway, setting up of several Japanese industrial townships. 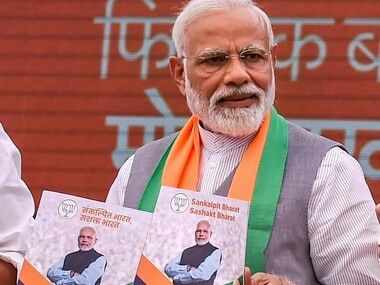 Japanese Prime Minster Shinzo Abe's ambitious target for doubling Japanese investment within 5 years and his commitment for $35 billion for different infrastructure projects for five years bolstered Modi’s dream for 'Make in India'. While welcoming Japanese investors, he ensured "red carpet minus red tape" in his last visit to Japan, as Eurasia Review noted. Modi's shift to woo Japanese investment from automobile to defense and development of smart cities is expected to create a new vista for Japanese cooperation in India. India and Japan are also exploring joint business opportunities in the defence and security sector in Africa, as part of their ambitious Asia-Africa Growth Corridor (AAGC) plan, according to The Print. This plan has largely been seen as a counter to China's One Belt One Road project, which India boycotted. During his visit to Tokyo, Jaitley welcomed the trilateral naval exercise among the US, India and Japan. "This is all reflective of the level of cooperation our armed forces have with each other," DNA quoted him as saying. China has been wary of these joint military exercises for a long time. This year, the three-nation Malabar Naval Exercise was held in the backdrop of prevailing border tension with China in Doka La. 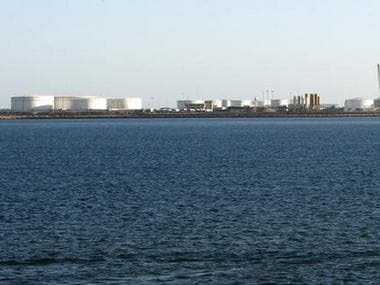 The Chinese media said that the exercise may be a security concern for China as the Indian Ocean Region is considered economically important for Asia's largest economy. Beijing has always regarded the Malabar exercises as an attempt to checkmate its rising military clout. The Chinese media believes that the US, India and Japan are ganging up against Beijing. Japan's growing ties with India and its continued support comes as no surprise because Tokyo is no stranger to Beijing's efforts to change the status quo. According to India Today, it was Japan in January 2014 which asked India to forge a team to thwart Chinese expansionist moves in the East China Sea as well as in the Himalayas. 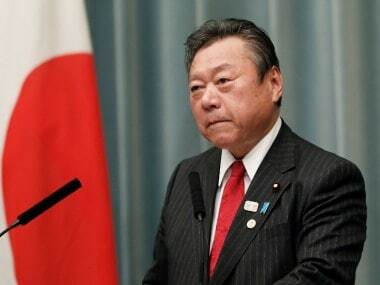 Then defence minister of Japan Itsunori Onodera, had said, "Both Japan and India should ask for a dialogue with Chinese side and tell China not to change status quo by force." China has also been sending both military and fishing ships into the Senkaku waters and tensions between Tokyo and Beijing have risen since Japan noticed Chinese vessels and other government ships sailing near the disputed island. India and Japan's partnership has witnessed several significant strides and the bonhomie between the two nations is on an upward trajectory in the backdrop of China's growing presence. Jaitley's visit to Tokyo has strengthened the partnership between the two nations and this will further be cemented by Abe's upcoming visit. Japan and India, as The Sunday Guardian notes, are natural allies because they have no conflict of strategic interest and share common goals to build institutionalised cooperation and stability in Asia. Japan and India realise their critical location and the importance of their security ties with US to counter an emerging China.